The best branded content takes a few lessons from premium chocolate by paying attention to a few key ingredients. A few years into our marriage, I told my husband that he could make me happy every year on Valentine’s Day by giving me two things: flowers and chocolate. I didn’t need presents or jewelry, just the two mainstays I’d missed when I was single. I didn’t specify the type of flowers although he’s a smart and romantic man and always gives me long-stemmed red roses. The chocolate, however, has taken some time to finesse. All I really wanted was one of those heart shaped boxes filled with little surprises inside. Over the years he’s managed to surprise me with spicy, exotic creations from local chocolatiers or Godiva, Ghirardelli, and even, Trader Joes. One thing I know for sure: All chocolate isn’t equal. Quality, creativity, flavor, and packaging matter. We can all taste the difference between Hershey’s and Ghirardelli. The more prestigious brands have more value. They achieve this by considering and investing more in the ingredients (origin of cacao beans), the process (Ghirardelli’s conching process), their recipes, and the aesthetics of their packaging. All content isn’t equal either. In order to develop content that enhances perception of your brand, consider spending time on your story ingredients, creation process, frequency, and voice. Find the human moments that tell the story of how your product or service is used by someone in your target audience. Describe their struggles and goals, reference research from prestigious sources, and share an overall message that educates, informs, or inspires them. Developing the right story ingredients makes your content resonate with the people you want to reach rather than fall flat and leave an average brand impression that renders you invisible or worse, deleted. Do you follow an outline to create content? Have your writers been prepped on your style, tone, and voice? Often, brands jump into content marketing in an effort to generate leads as quickly as possible. Employees, executives and the agency write content with a variety of perspectives. Variety is good as long as it all reflects a coherent brand voice with similar quality. Hershey’s Almond chocolate bar is my go to indulgence when I’m traveling. I can usually find one in a hotel gift shop and it’s an accessible treat for every day. I know what to expect and it always tastes the same. Do you want your content overly accessible of “everyday” quality? Some brands believe they need to push content out daily to be heard. I prefer quality over quantity and to a degree; your frequency determines your quality. Use social posts of curated content and fresh ideas to deliver your frequency. 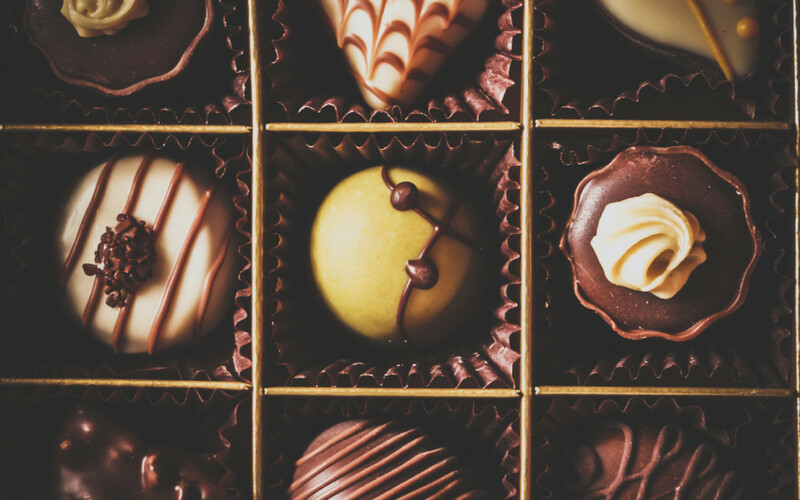 Temper the frequency of your blog posts and longer form content to show that you’re more Godiva than Hershey’s. Have you invested the time to develop style and tone guidelines that map your brand attributes with audience personas? This exercise determines the writing style and language that will “package” your content and amplify your brand across marketing channels. Your voice determines the surprise and delight your readers feel when they read your content, akin to how much I like to open and sample hand made chocolates in a unique velvet box over the Russell Stover’s in a rectangular box. When it comes to chocolates, packaging matters nearly as much as the quality of the flavors inside. A premium chocolate brand manager once explained to me the time they take to understand how consumers enjoy their chocolate and how they adapted their packaging to meet their needs. How do you want your audience to consume your content? What do they need? Consider your audience first and they’ll read, love and share your content. That’s one difference with chocolates. They’re harder to share. Receive insights & best practices on how to create compelling content.